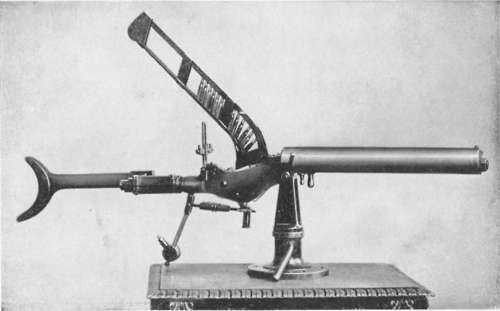 The Salvator-Dormus M1893 also known as Skoda M1893 was a heavy machine gun of Austro-Hungarian origin. It was patented by Archduke Karl Salvator of Austria and Count George von Dormus and was manufactured by Skoda Works Plzeň. The Salvator-Dormus was chambered in the 8x50mmR round fed from an overhead magazine and was water-cooled with an oil lubrication device. 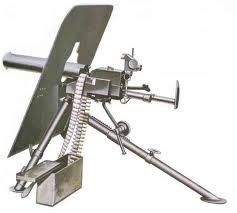 There was also a pendulum adjustment in the trigger mechanism that allowed the operator to select the cyclic rate of fire, anywhere from 180 to 250 rounds per minute. 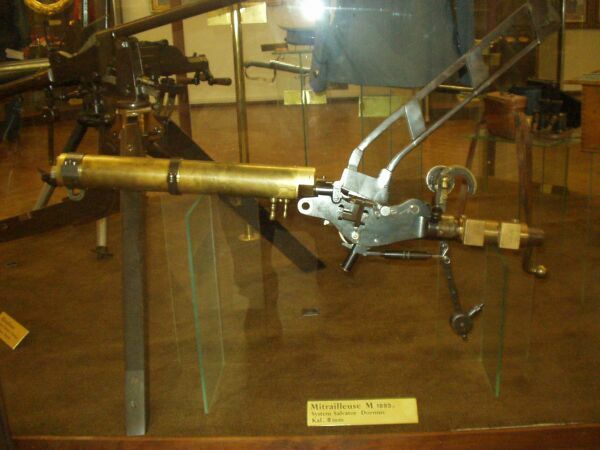 The M1893 was cheaper than the Maxim gun but was gradually replaced by the Schwarzlose MG M.07/12. The M1893 machine guns were mounted aboard the SMS Zenta during the successful defence of the Austro-Hungarian Embassy in Peiking.